What is “Clear and Brilliant®”? 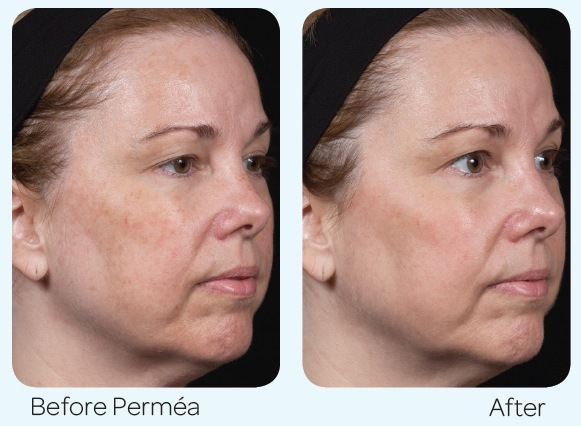 “Clear and Brilliant®” is a laser system that can improve open pores, pigmentation, acne, skin tone and texture without the downtime seen with traditional laser therapies. It has been hugely successful around the world and is excellent for patients who like the concept of using their own body’s natural healing processes to create a clearer more radiant complexion. 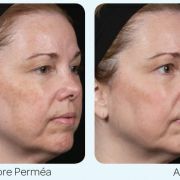 Permea® refers to the Clear and Brilliant® laser head that is specifically set at the wavelength to treat pigmentation problems. 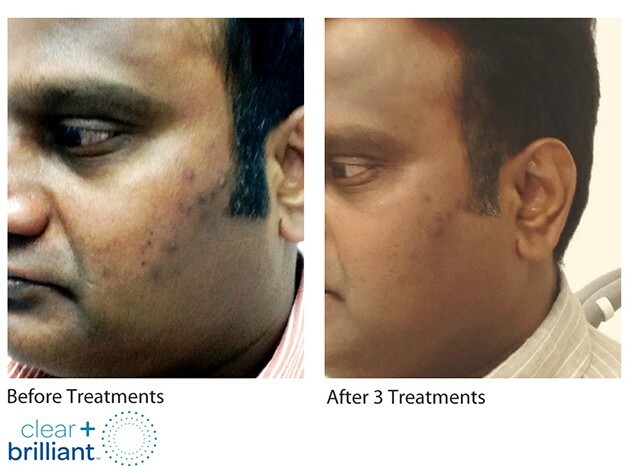 The “Clear and Brilliant®” Treatment is arguably the safest laser treatment on the market especially since it is only carried out by experienced medical staff at the ARGERA Centre. Its success comes from the fact that the procedure is performed as a series of treatments. 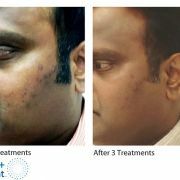 This allows a safer and more effective penetration into the skin than seen with a singular treatment, which aims for deep stripping of the skin’s surface thereby leaving it open to the risk of scarring or pigmentation and significant downtime. The interval between sessions is usually weekly to 2 weekly depending upon the skin type being treated and the desired outcomes. “Clear and Brilliant®” is so gentle that most patients appear a little red that day (like sunburn) which usually settles overnight. Skin might then stay dry for a few days as the dead skin cells slough off leaving a radiant, smooth texture. And so layer, by layer through a succession of treatments the skin reaches its maximal potential. On average 3 to 6 treatments are recommended depending upon the desired result. Both young and old skin can benefit from “Clear and Brilliant”® and is ideal for those preparing for a special event. “Clear and Brilliant®” resets the skin and thus results are maintained as long as the skin is looked after. We recommend the ongoing use of medical strength skincare to get maximal results. Medical strength skincare is only available at medical clinics since the ingredients are active and hence results are seen. It’s also quite inexpensive compared with weaker skincare sold in retail stores. And of course, if you like your results with the “Clear and Brilliant”, treatments can be repeated in the future. 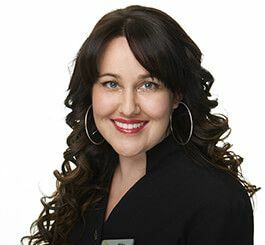 On average an experienced “Clear and Brilliant®” operator may charge up to $440/treatment but at ARGERA we offer the treatments as packages with bonus medical strength skincare which significantly reduces the cost and making it incredibly good value. ARGERA offers only proven technology and treatments that are safe, and which staff at ARGERA having personally undertaken, so that they can provide honest and accurate advice. Treatments are also carried out by doctors or senior cosmetic nurses, not by beauticians to ensure that you receive the safest and most effective procedure possible. Ask about our “Miracle Monthly Skin Makeover Package” or the “Permea Pigmentation Package”. You will be amazed at how much you can save with our packages. For more specials on our range of skin treatments click here.